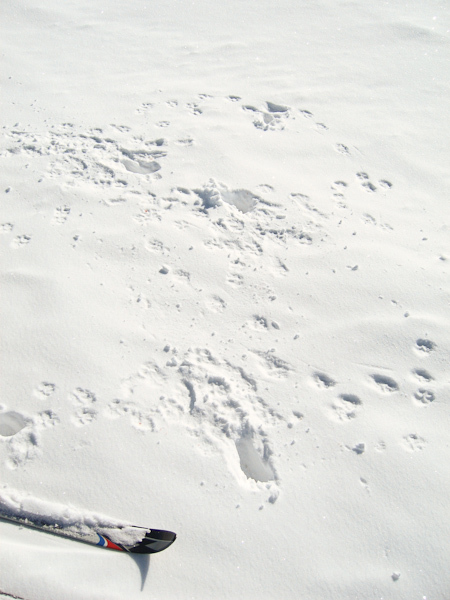 An interest in animal tracks and sign is something of an affliction. If you become hooked, country walks can become very slow affairs. You certainly have to have understanding walking partners. 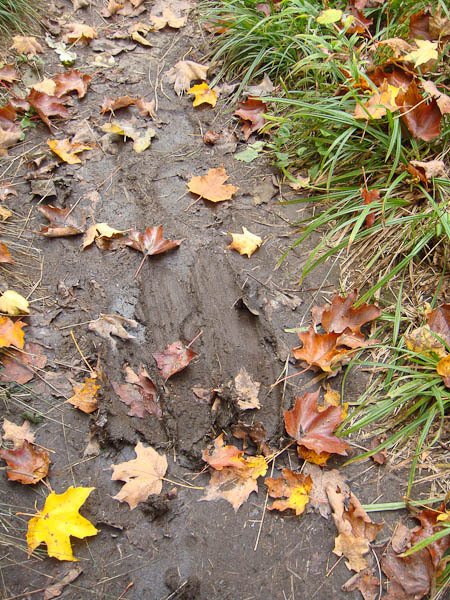 Fallow deer track near a stream. East Sussex. Photo: Paul Kirtley. 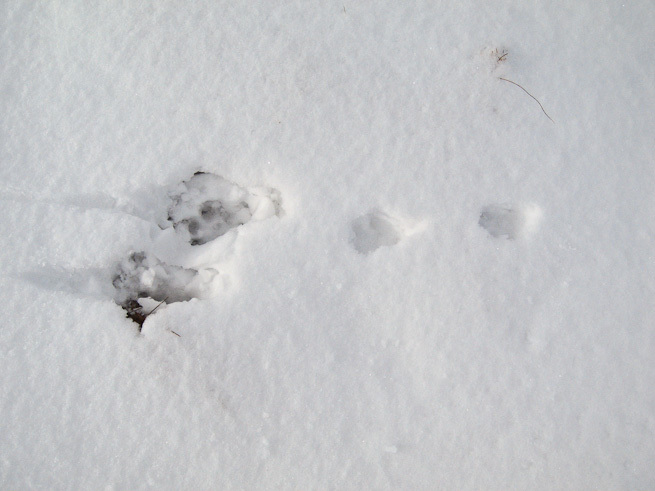 In fact, after you tune in to the evidence of wildlife activity in your local woods and fields, you'll certainly see tracks and sign of animals a lot more frequently than many of the animals themselves. Most animals are wary of humans; many are nocturnal. Spotting and interpreting their tracks gives an insight into a world that can otherwise be hard to access. 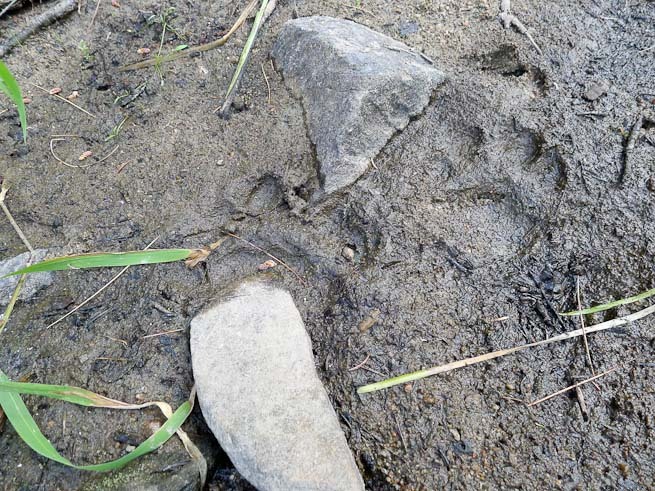 Identifying tracks, sign and the animals that left them provides a greater understanding of an environment and helps provide a wider knowledge of nature. There are always tracks to be seen. 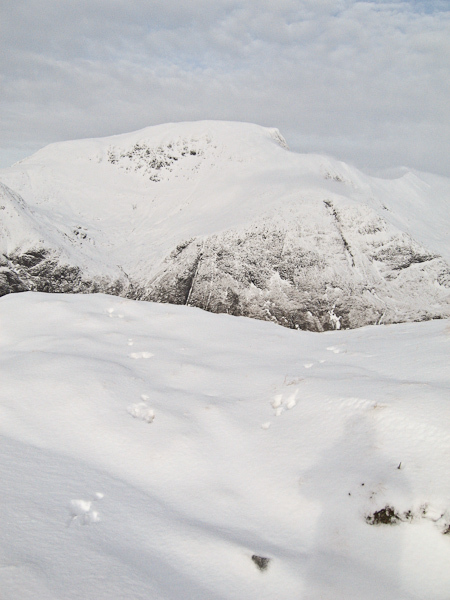 Hare tracks high in the Mamores, Scotland with Ben Nevis in the background. Photo: Paul Kirtley. 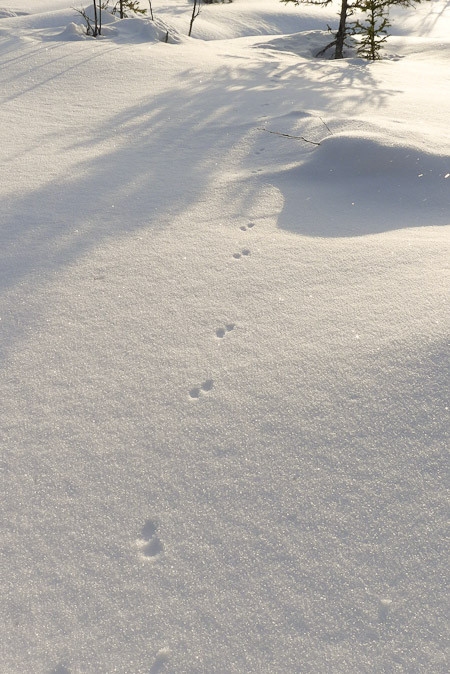 The tracks of a Stoat scampering across the surface of the snow in Arctic Sweden. Photo: Paul Kirtley. 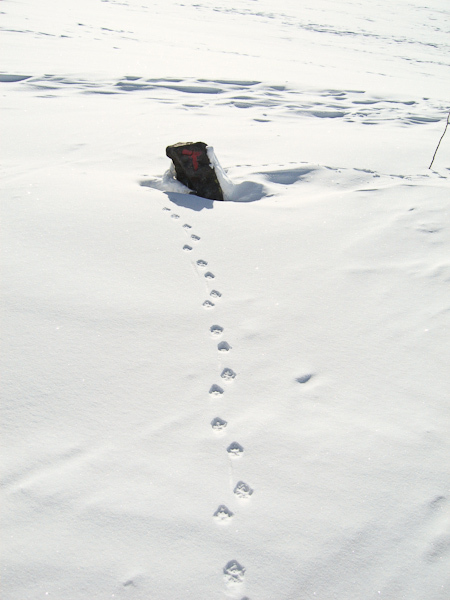 An interest in animal tracks encourages greater observation. An awareness of which species of animal are around also improves outdoor safety. 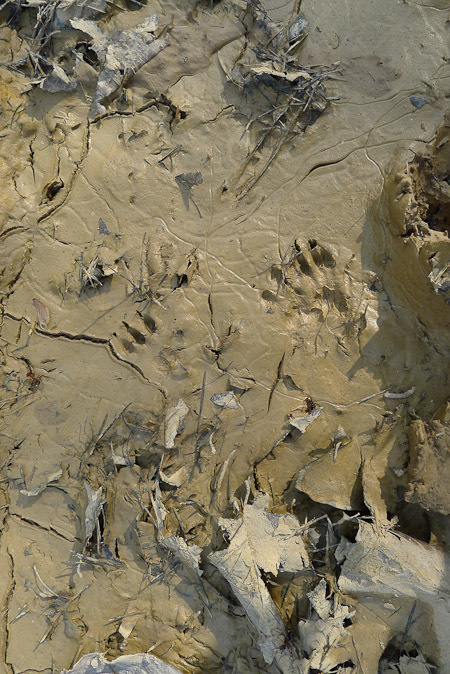 The weathered tracks of a black bear, Ontario, Canada. Photo: Paul Kirtley. Clear tracks are the easiest to identify. Clear tracks give you a good idea of the animal that left it. 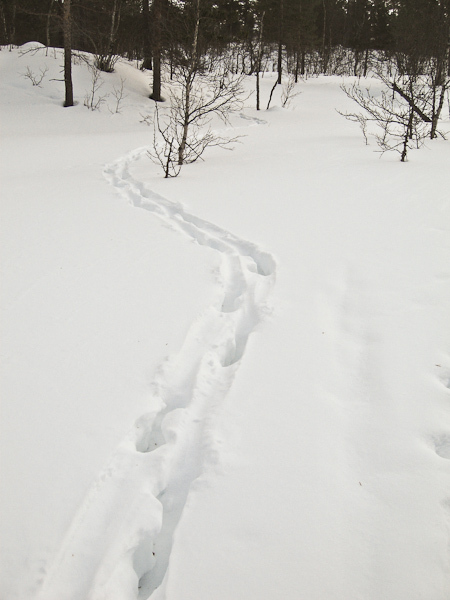 Clear prints are most readily seen on snow, soft mud or clay, fine soil or wet sand. Hyena track, Serengeti, Tanzania. Photo: Amanda Quaine. In addition to the shape of the print helping determine the species, so does the size help us determine a positive identification. Knowledge of the habitats preferred by various animals as well as their range, can also help narrow down identification. Red deer tracks in snow, Scotland. Photo: Paul Kirtley. 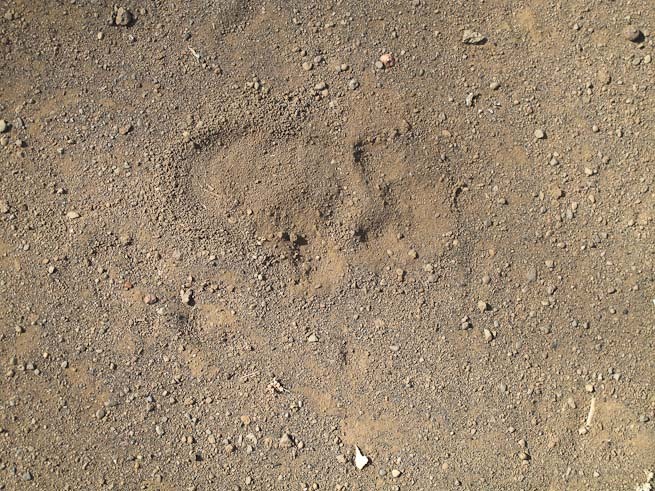 If you have multiple prints one after the other, this will also indicate the gait of the animal - that is, was it walking, running, leaping or bounding. In addition to the size of the footprint, the gait of the animal can also help indicate its size. Reindeer tracks, Setesdal mountains, Norway. Photo: Paul Kirtley. Elk tracks through snow, Norway. Photo: Paul Kirtley. Hare tracks in snow, Scotland. The hare was moving from right to left of the picture. You can clearly see the toe pads of the hind feet, which are to the left of the image, ahead of the staggered impressions of the two forefeet. Photo: Paul Kirtley. Moose slip on a portage trail, Ontario, Canada. Photo: Paul Kirtley. Baboon, moving fast, Tanzania. Photo: Amanda Quaine. In the photo above you can see the sandy earth pushed back as the baboon was running. It was running from the Hadza hunting party we were with. If the medium is good then you can even spot tracks of smaller animals. The squirrel tracks in the photo below were in the fine clay mud left in the bottom of a rut that was slowing drying out after rains. The marks from some of its claws are very distinct. 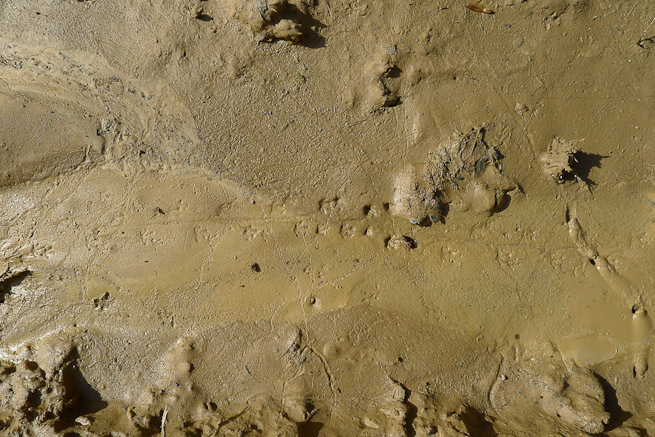 Grey squirrel tracks in fine clay mud, East Sussex. Photo: Paul Kirtley. A fine medium can sometimes capture tracks that are seen relatively rarely. This is often the case with small, sleight creatures. 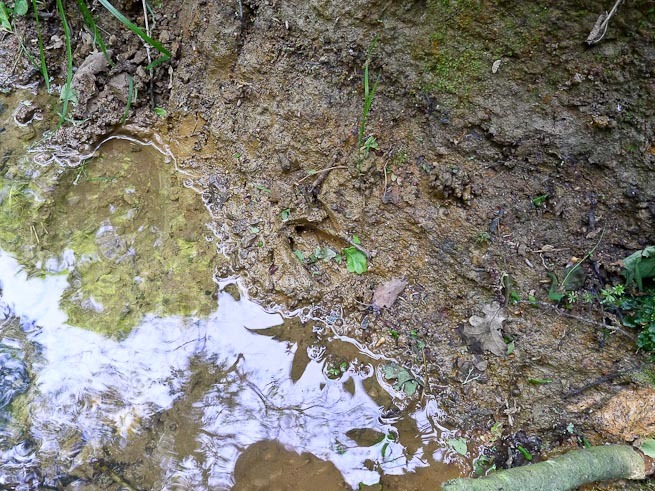 Below are the tracks of a newt, again in fine clay mud. Newts have four toes on the front feet and five on the rear. It's rare to see this so clearly - if at all - in tracks. You can also clearly see where the newt has dragged its tail. Very well-defined newt tracks showing four toes on the front feet, five on the rear and tail drag. East Sussex. Photo: Paul Kirtley. If an animal has been active on an extent of a particular medium where all its tracks are clear and distinct, then we get an even greater insight into its activity. A few years ago I was undertaking a ski tour in Norway, crossing the Hardanger Vidda. The Hardanger is a large mountain plateau in the south of Norway that is approximately 100km x 100km. It can be subject to some of the worst weather in northern Europe and is certainly wild. Despite its harshness, this environment still harbours wildlife, even in winter. Reindeer, ptarmigan, lemmings and artic foxes are amongst its inhabitants. 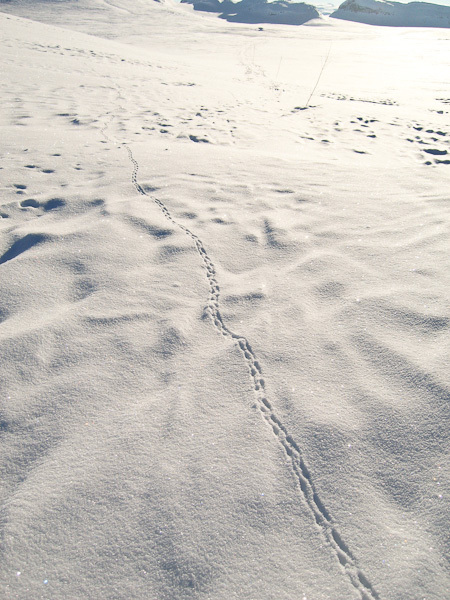 Lemming tracks crossing a ski trail. Hardanger Vidda, Norway. Photo: Paul Kirtley. Our trip had started with some bad weather and we'd been confined to a hut for 48 hours due to the strength of the winds. 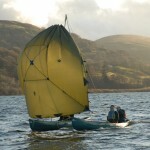 Once the weather broke, we carried on. The winds had scoured the trails of tracks and the following day there was some light snow in the evening. The next day we headed out with the aim of covering around 30km. After a few km the route we were following was joined by the tracks of an arctic fox. The routes between huts in this part of Norway are marked with birch saplings stuck in the snow. The fox had clearly been running along the trail and urinating on these trail markers to mark its territory. Kilometer after kilometer the fox had stayed with our trail. Imagining the fox galloping along was eventually like having a little companion running along with us. Its tracks were clear every step of the way. We passed a summer trail marker - a stone marked with the familiar DNT 'T' in red paint - normally hidden beneath the snow but that had been uncovered by the scouring winds. The fox had approached and urinated on it too. Arctic fox tracks and DNT summer trail marker, Hardanger Vidda, Norway. Photo: Paul Kirtley. 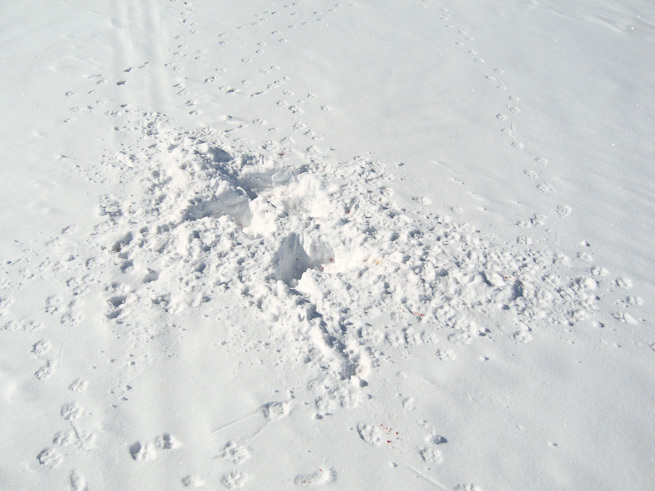 Every so often along the fox's trail there was a significant disturbance, where the fox had been digging in the snow, probably for lemmings. Lemmings spend a lot of their time under the snow and foxes can smell and hear them. Excavations in the snow made by arctic fox. Hardanger Vidda, Norway. Photo: Paul Kirtley. A little while along the trail after the above disturbances, the fox had obviously caught something. There was digging again with even more disturbance this time. 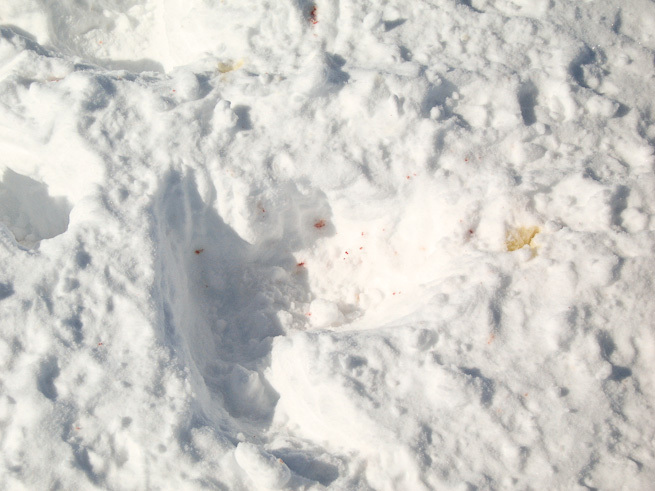 And there was blood on the snow. Not much, but it was there. The fox had also urinated and defecated in this area. More disturbance, just off the ski trail - you can see faint ski tracks from before the storm - with blood being evidence that the fox had hunted successfully. Photo: Paul Kirtley. A close-up view of the successful excavation. Spats of blood are clearly visible. Photo: Paul Kirtley. The fox's trail continued to coincide with our own route for a while further. 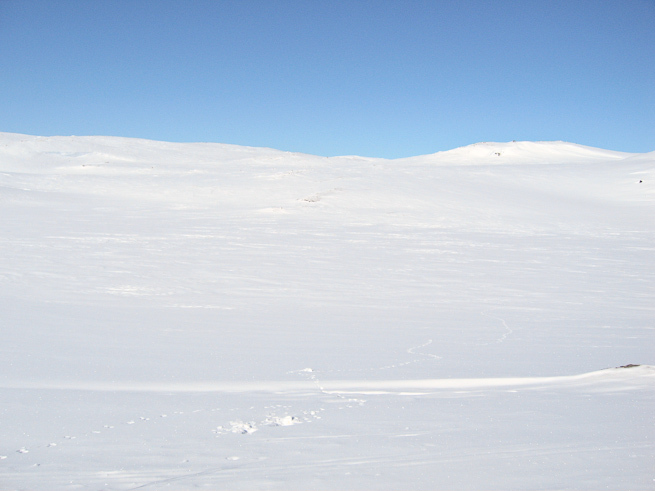 As we contoured a rounded hill and the valley opened up on our right, the fox's track took a right-angled turn away from ours and headed out into the white expanse. In the foreground we could see that the fox had again been digging. After that we could see that the animal had continued to gallop across the snow, into the distance. Arctic fox trail heaing off into the white expanse of the Hardanger Vidda. Photo: Paul Kirtley. It would have been great to follow our little imaginary friend to see what further adventures it had had. But we still had a good distance to cover, not least because of our stops to study the fox's activities. So we continued on our way. It's on days like this, though, that you can truly say you've fully experienced the joy of tracks. Following tracks takes us into the realm of tracking. We don't usually get to follow such clear prints as the arctic fox over the Hardanger Vidda. As trackers we often have very few, if any, clear prints at all. As trackers, we don't follow footprints, we follow sign. To recognise and follow sign, you must have a good understanding of The 6 Key Characteristics of Sign. 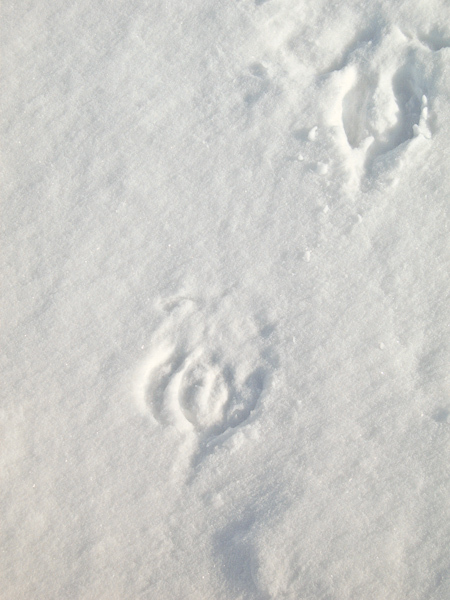 Animal Tracks and Sign: Vole or Mouse? Hi Paul. Loved your tracking article! p.s. HEALTH WARNING: I am, in no way, advocating approaching semi-tame black bears in dumps in Canada! That’s an interesting story (and I’m glad you put the PS in there 🙂 ). It’s great that you found the wolf track. 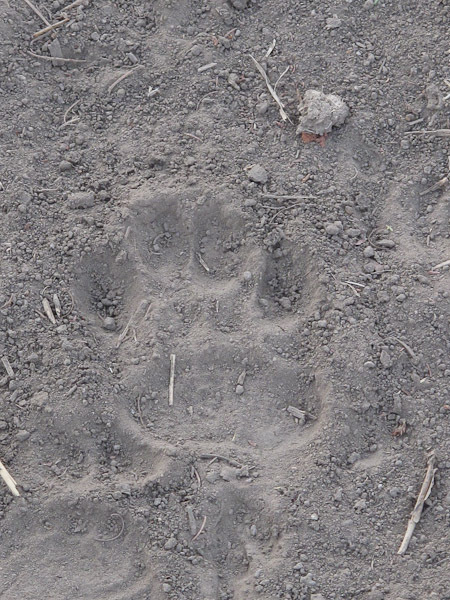 It also serves to illustrate an important point about learning to identify tracks; something I recommend is that if you see an animal, even in the distance, take the time to locate and study the tracks. The next time you come across the tracks without having seen the animal, you will more likely identify them. Great article Paul and after your lessons, I am certainly on the look out now, I am amazed at how many I see, and following them is always a story to be read. Back in 74, I was walking in Yellowstone with my wife and a couple friends. My friend, Jim came upon a pile of bear poop, nearly stepping in it. He and the girls were having a good laugh, and gave me a puzzled look when I stuck my finger in it. I strongly suggested we turn back and retrace our steps, making noise in the process. The pile was quite warm, so I knew it was fresh and we weren’t that far behind our furry friend. Hi and thanks for your comment – great story and a clear example of how awareness of animal sign can improve your outdoor safety. Thanks for sharing. GREAT article and story, felt like inwas right there with you! I’m really looking forward to the signs article. That’s the more elusive bit of knowledge for me and probably more commonly used? Yes, much of the time we are not lucky enough to have clear prints every step of the way. Then we have to look for partial prints and more subtle sign still. Phenomenal subject- tracking and/ or natural awareness really is the one area of Bushcraft which really speeds up the process of blending in to your natural environment. Still very much a novice- but learning to ‘zone in’ and pay attention to detail helps me in every environment ! 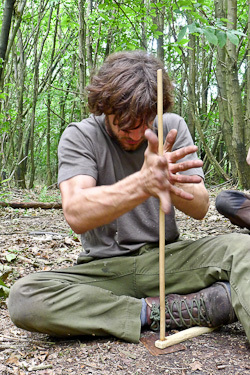 Absolutely – a student on a recent tracking course commented that he hadn’t realised until that point how important a skill tracking was to furthering his bushcraft skills overall. Another great article, and on my favorite subject. I agree with other readers that incorporating tracking skills into your bushcraft and outdoor activities gives another level of understanding and observation. As a rural police officer I use tracking to better inform my investigation of crime scenes both in and outdoors. It amazes me how neglected it is as a skill in my line of work. When I tell colleagues and members of the public the story of an event and what I have deduced and observed I’m often met with cynicism and blank looks. But I’m sticking to my guns and after ten years of practice on the job I’m writing a training package for other officers. Im really hoping to make a sucess of it, inspired, at least in part, by your love of sharing knowledge and experience. 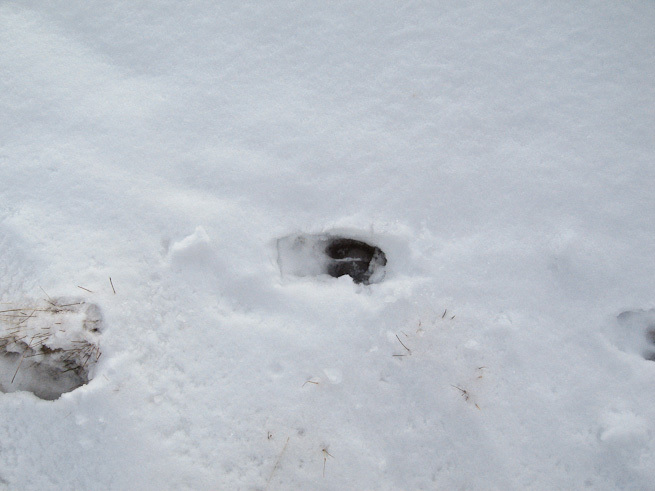 Great blog paul,I’ve got to admit that soon as there’s any snow I pull on the winter wools and go looking for tracks.i also like checking out sand round badger setts for any perfect print or muddy paths in the woods for any print other than the many dog prints I see.